None For Me: Van Wiggles or WiggNudo ? Van Wiggles or WiggNudo ? If you've been anywhere near kids 8 or younger in a while you've been exposed to "The Wiggles". I don't know what it is, but kids go nuts for this stuff. Somehow "The Wiggles" have come up with the right combo of colors, music and dancing to mesmerize kids. It's like crystal meth for the toddler set. My 2 year old son wakes up at 6am every day, and he is jonesing for Wiggles. He will straight-up cry, tears and all, if you put anything else on the magic box. He's addicted, but all the cool kids are doing it, so that's OK, right? So here's the real issue. One of the 4 guys that are "The Wiggles" is sick. Greg Page is the yellow Wiggle and serves as the lead single. His illness sounds pretty crappy. So he has decided to retire from the group, since he really can't do the touring and what not. It's just too much for him with the illness. Good for him, go out gracefully, keep your dignity. "The Wiggles" decided that rather than end the band, they should replace Greg with another guy. Sam Moran is the guy they selected. He seems OK for the job. He can sing, dance, and (most importantly?) can wear a yellow shirt. The real question here is can they pull this off? Can they pull a Van Halen style lead singer swap? Will it matter to the kids? If it works, can they repeat this as the other guys decide they no longer wanna play? 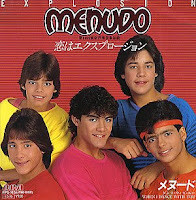 Can they make this band last indefinitely, by pulling the Menudo style member replacement indefinitely. Here in the US, the new episodes with Sam Moran just started airing. My 5 year old daughter immediately noticed the change and started asking questions. My 2 year old son, the addicted one (their target audience?) may have noticed, but he accepted the change with no problem at all.